Total height necklace: 75 cm and adjustable. 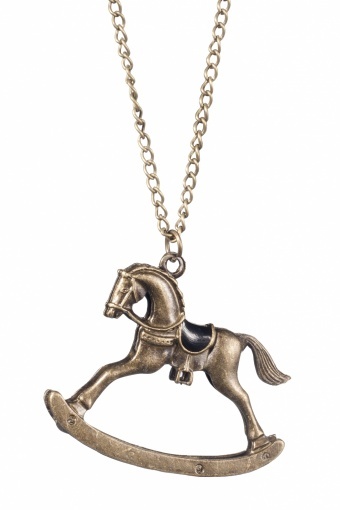 Vintage inspired long Once Upon a Rocking Horse bronze necklace by From Paris With Love! This is an everybody's sweetheart! 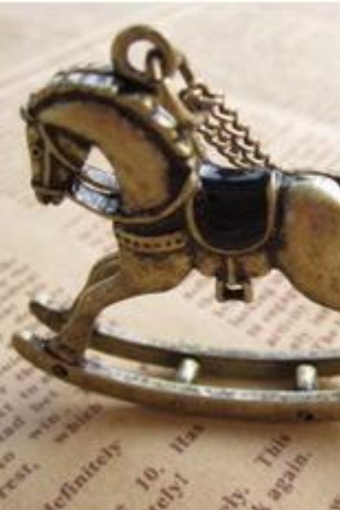 The adorable designed rocking horse has lots of cute details. It's saddle is enameled in raven black tone. Material: bronze tone nickelfree metal, with lobster closure. 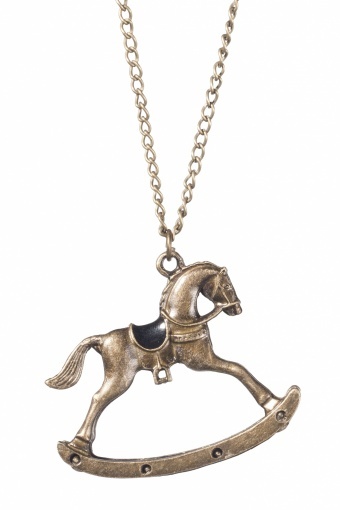 As seen in Paard & Leven and Libelle!